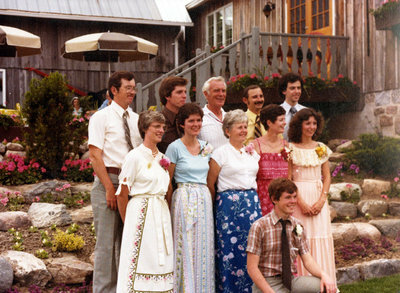 A colour photograph of the Cullen Family at the opening of Cullen Gardens and Miniature Village on May 30, 1980. Opening of Cullen Gardens and Miniature Village, May 30, 1980, Photographer Unknown. Whitby Archives A2013_042_001.